للمسافرين الذين يرغبون أن يعيشوا كل ما تقدمه المدينة، أوراري بيد آند بريكفاست هو الخيار الأمثل. يمكن من هنا للضيوف الاستمتاع بسهولة الوصول إلى كل ما تقدمه هذه المدينة النابضة بالحياة. يقع هذا الفندق الحديث على مسافة قريبة من المعالم السياحية الشهيرة. يقدم أوراري بيد آند بريكفاست خدمات لا غبار عليها وكل أشكال اللياقة وحسن الضيافة اللازمة لإسعاد ضيوفه. إن واي فاي مجاني في جميع الغرف, تسجيل وصول/تسجيل خروج خاص, مجهز لذوي الإحتياجات الخاصة, مرافق مخصصة لذوي الاحتياجات الخاصة, تسجيل وصول/خروج سريع هي جزء فقط من الخدمات التي تميز أوراري بيد آند بريكفاست عن باقي الفنادق في المدينة. في أوراري بيد آند بريكفاست غرف نوم يزيد عددها عن 10 صممت بذوق وعناية لتوفر لك كل وسائل الراحة . بعضها يحتوي أيضاً على تلفزيون بشاشة مسطحة, قهوة فورية مجانية, شاي مجاني, بطانية كهربائية, بياضات. صممت خدمات الاستجمام في الفندق والتي تتضمن مسار جولف - ضمن 3 كم, حديقة لمساعدتك على الاسترخاء والراحة. إن أوراري بيد آند بريكفاست هو خيارك لخدمة الفنادق الراقية في المدينة. This is a great option when visiting Christchurch. The staff does a great job keeping this historic house clean and tidy, and the main host is very personable and accomodating. We took advantage of the laundry at $5 per load (washer/dryer). We thoroughly enjoyed the breakfast - an excellent spread of fruits, breads, and juices with choice of eggs and bacon. Great location and walking distance to so much of what Christchurch offers. The space is beautiful and modern but keeping the old charm of the original building. I LOVED the window seat in our room for reading and sunbathing, and the breakfast was delicious. We sat with another couple and traded travel stories. Highly recommend it! Limited options for cooked breakfast but fine if only staying one or two nights. Seemed short of staff in the morning when it came to check-out and general queries etc. Great location for the gardens and art gallery. We booked for one night and ended up staying for 5, comfy surroundings felt like home. Staff very helpful and friendly centrally located to transport, shopping and sightseeing. We had a lovely time. Thankyou. What a great find. 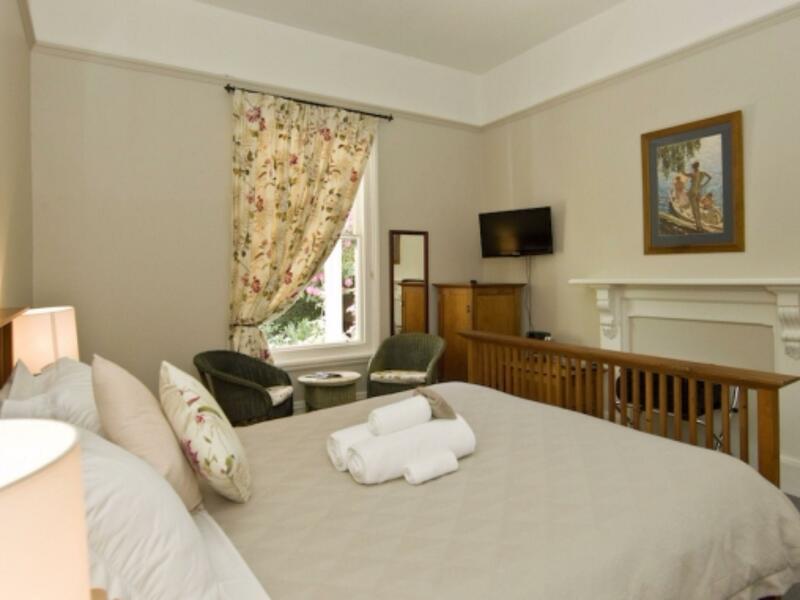 Centrally located with the art gallery across the road and Fiddlesticks bar and restaurant about 2 minutes walk away, and a walk or historic tram ride to the city centre, it is a lovely alternative to a generic hotel. Very private due to a walled courtyard garden. Breakfast was delicious - a continental buffet with a freshly cooked hot meal of bacon and eggs. The ladies who run the B&B have it down to a fine art. Highly recommended. Easy access, helpful staff, good location, very clean. No frig in room and no fresh milk (although I was offered fresh milk). Easy walk to most of Christchurch. Thin walls so adjoining guests are heard and hear you (on second floor anyway). Lovely building and well appointed. Such a great spot and centrally located in Christchurch. The staff were very helpful both before our stay and during. It is a charming house converted to a B&B and very comfortable and welcoming. We would definitely stay here again. We spent the first two nights of our honeymoon here and it couldn't have been more perfect. 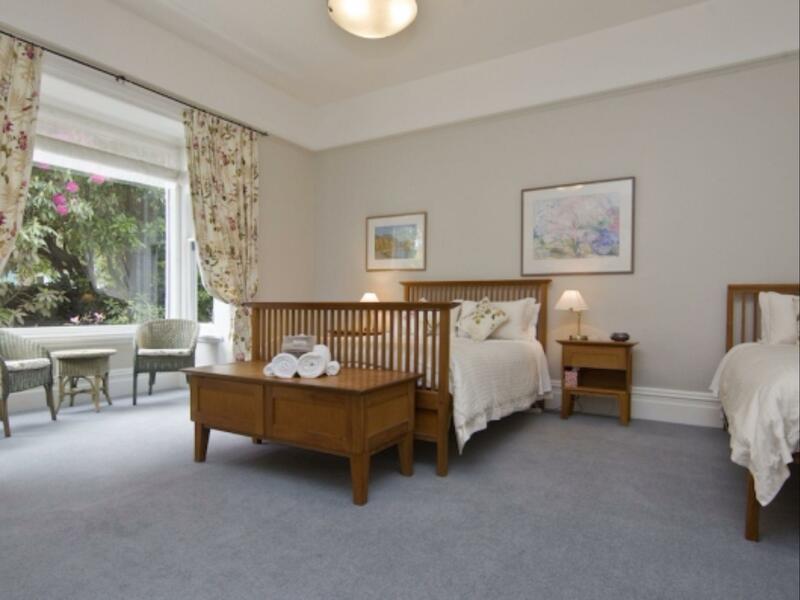 Welcoming, friendly and helpful hosts, a well appointed room with gorgeous decor and lovely modern ensuite, fantastic breakfast in the lovely lounge and perfect location to explore Christchurch, only 200 metres from botanic gardens and Canterbury museum. I cannot recommend enough, especially for solo travelers or couples who like a little luxury for a good price. On arrival it seemed that there had been a mix up over bookings but this was soon resolved and we were allocated a room meeting the specification that I had booked. Breakfast is served from 08.00, however we needed to leave for the station at 07.30 one morning, as did 6 other people. The manageress went out of there way to ensure that we all had a cooked breakfast at 07.00 that morning. Our only criticism of the Orari was that when returning after an evening meal we found 2 other residents struggling to unlock the front door as the lock was faulty.The lock to our room was also in need of repair. Nevertheless, our stay was enjoyable and the unexpected free glass of wine in the evening was a very agreeable surprise. The luggage lift was especially helpful after a long flight in. Room was nicely made up, carpark had sufficient space, the living room had a victorian feel and with the right company, would make a lovely spot to enjoy a glass of wine and warm chat at. Not far from the botanic gardens and so for nature lovers, is worth a trip to take a look at. Good location excellent staff but shower head leaked on the side and had a split in it. Hot water went from good temp to boiling then freezing by its self not good for children. Security needs to be improved eg door locks. Great breakfast from fantastic staff overall very comfortable stay 4star. After a bumpy first night with loud neighbors, Jan quickly moved us to another room/ apt. She went beyond the call of duty to insure our nice stay, despite the fact, the disturbing neighbors were out of her control. Location is great for walking to many popular sites. Breakfast (included) was delicious and generous. The 5:30 wine time in the common living room as so nice, we met and chatted with other travelers. 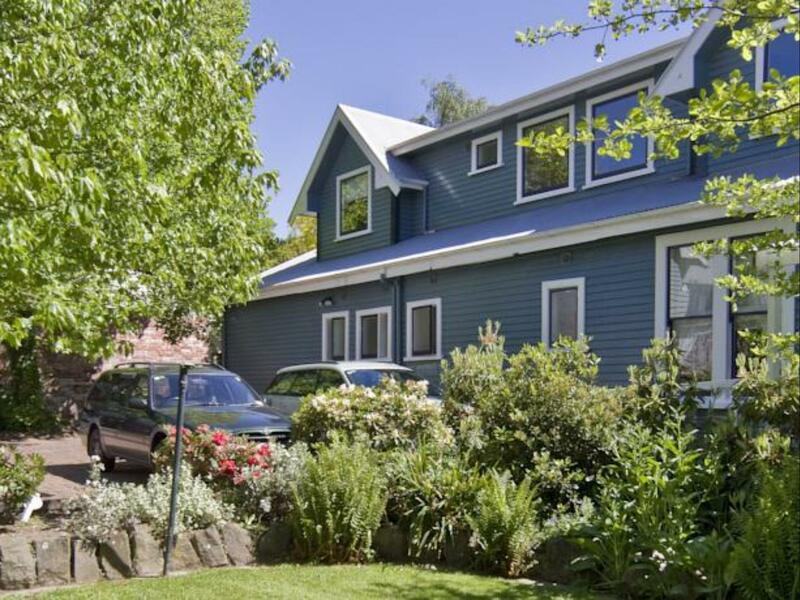 Situated close to the heart of Christchurch, the Orari bed and breakfast is a converted Victorian era mansion, set in a mature garden of the same era. It has the advantage of being close to a restaurant area and parks but avoids the noise of central city hotelsIt is furnished along these lines with magnificent furniture and decor in the public areas such as the breakfast room, such as a magnificent dining table and sideboard and a wonderful art deco standard lamp together with some fine art and prints. TheVictorian themed decor, although continued in a less grand manner in the bedrooms has been supplemented by modern conveniences such as ensuite bathrooms in some rooms and access to bathrooms in the remaining rooms. I thought, Orari's proprietors were very helpful their guests personal advice and the lounge/dining room features a small library as well as menus from neighbouring restaurants. Breakfast is a highlight, with a wide selection of jams/jellies in small jars a cooked breakfast with a variety of breads as well as tea served in silver teapots. It was a lovely experience. 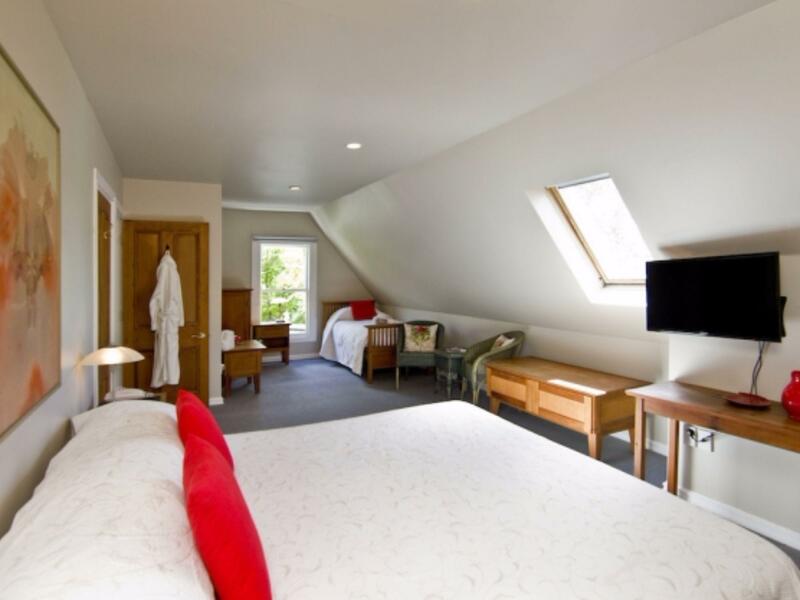 Situated close to the heart of Christchurch, the Orari bed and breakfast is a converted Victorian era mansion, set in a mature garden of the same era. It is furnished along these lines with magnificent furniture and decor in the public areas such as the breakfast room, such as a magnificent dining table and sideboard and a wonderful art deco standard lamp together with some fine art and prints. The establishment also has apartments for rent in the grounds which I am not in a position to review. However the Victorian themed decor, although continued in a less grand manner in the bedrooms has been supplemented by modern conveniences such as ensuite bathrooms in some rooms and access to bathrooms in the remaining rooms. Being relatively small, Orari's proprietors are able to give their guests personal advice and the lounge/dining room features a small library as well as menus from neighbouring restaurants. Breakfast is a highlight, with a wide selection of jams/jellies in small jars a cooked breakfast with a variety of breads as well as tea served in silver teapots. A great B & B in a good spot within easy walking distance of town centre and some excellent restaurants. The only downside was the rather small first floor bedroom. Second time around we had an apartment and that was fantastic. Service is second to none. Staff are helpful and nice, very classic and beautiful environment, and very cozy as well. We enjoyed the stay.